What do you do when your kids (or nieces and nephews) are bored and it's too hot to play outside, or a rainy summer day springs up? I like to challenge kids to complete a puzzle with me. What better time to introduce them to some concepts of gothic architecture, too? You might have to tempt the kids gently into joining you (they might say "That looks dumb!" or "How boring" if you push too hard). Sometimes I just set the puzzle up and start working on it, or a little nudge like "Oh you surely aren't old enough to help me with this, are you?" works wonders. Pour some lemonade, spread out on your dining table, and enjoy the challenge. Sometimes I'll leave one of these out in an out-of-the-way table so we can work on it a few minutes at a time here and there so it doesn't seem so overwhelming. 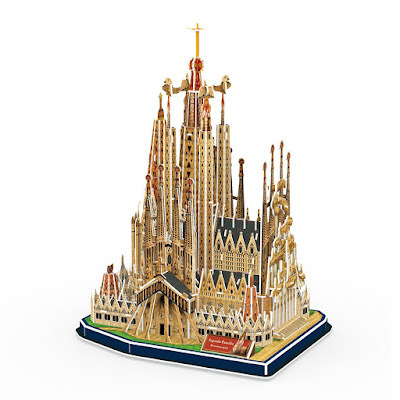 This 3D puzzle by CubicFun depicts the Sagrada Familia cathedral (basilica) in Barcelona, Spain. The puzzle has 194 pieces and takes an estimated 150 to 180 minutes to put together. 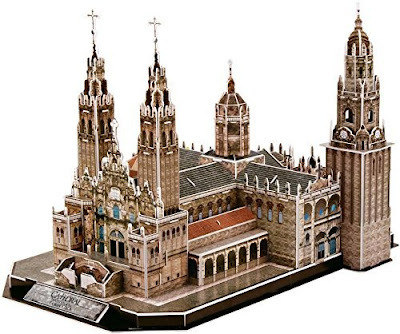 Here's the 3D puzzle by CubicFun depicting the Cathedral de Santiago which is also in Spain. This one is a bit easier to assemble, having 101 pieces, but still can take 150 to 180 minutes to finish. 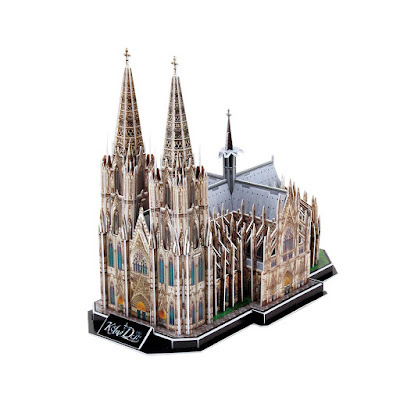 This 179 piece puzzle shows the Cologne cathedral in Germany. It's estimated to take somewhere between 200 and 220 minutes to put together. 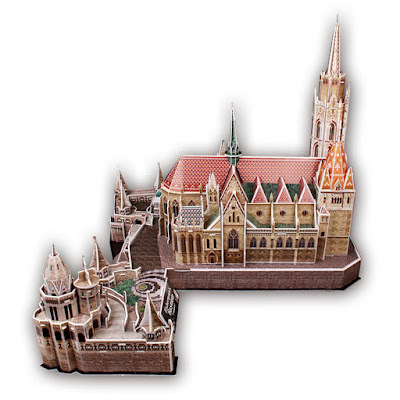 Who wouldn't want to put together a puzzle of the lovely Matthias Church in Budapest? The construction time on this 176-piece puzzle is apparently 240 to 300 minutes. Yikes! This monstrous 952-piece puzzle is by Puzz3D. 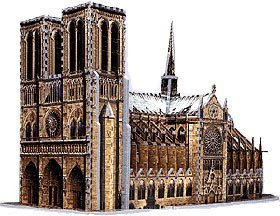 It depicts the Cathedral Notre Dame in France. 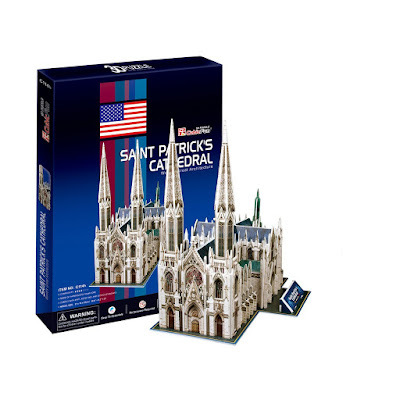 Let's not forget to attempt a puzzle designed to look like St. Patrick's Cathedral in New York City. With just 72 pieces, it should take around 100 minutes to assemble. There are many other cathedral and church puzzles out there, but these were the most likely to be of interest to goths and people with darker tendencies!